The World Bank estimates Angola’s under-five mortality rate to be one of the highest in the world at 157 per 1,000 live births. HFG’s technical assistance aims to increase the Ministry of Health (MOH)’s capacity to secure much-needed funding for health and systemic improvements to combat this extremely high rate, as well as high rates of maternal deaths and infectious diseases. 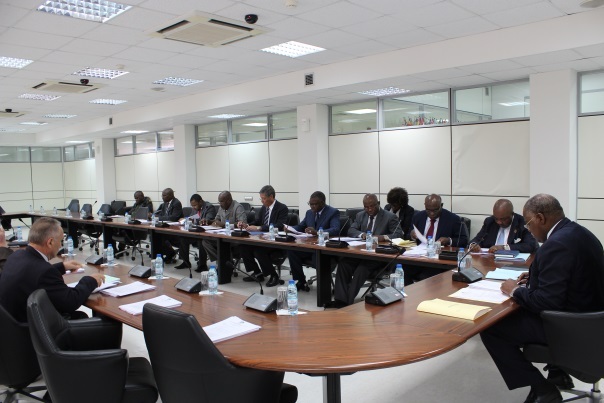 HFG is supporting the MOH to develop a monitoring and evaluation plan for the Angolan National Plan for Health Development 2012–2015 (PNDS), and to conduct a National Health Accounts (NHA) exercise to better understand the flow of resources for health in Angola. Previously, HFG worked with the MOH to complete the costing of the PNDS and to update the PNDS budget to reflect the 2014 census. The original PNDS envisioned significant near-term increases in health spending, but the actual health budget was far below the PNDS target for 2014, pointing to the need to increase the Ministry’s resources to achieve the ambitious goals set forth in the PNDS. The plan necessitates rapid investments in the health system to achieve high levels of treatment for infectious diseases such as HIV and AIDS, malaria, and tuberculosis, and to prevent maternal and child deaths. HFG’s assistance with the monitoring and evaluation plan for the PNDS will support the MOH to advocate to stakeholders—such as the Ministries of Finance, Planning, and Education, and the national legislature—for sustained financing. The national NHA exercise will enable the Ministry to better understand the flow of resources for health and to monitor the financial execution of the PNDS. Up-to-date NHA data will also provide a strong evidence base for the MOH to make informed decisions about resource allocation and to appeal for more domestic resources for health.